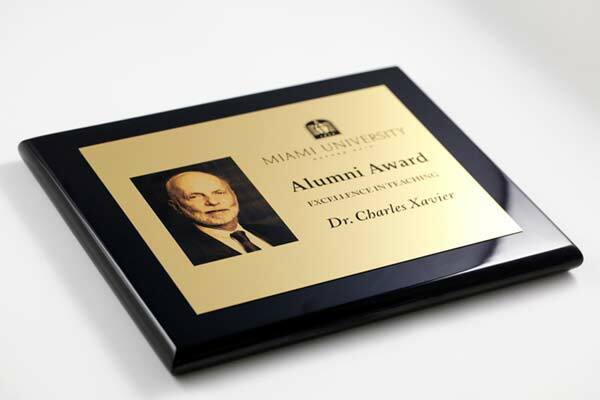 8"x10" or 10.5" x 13" Solid wood plaque in beautiful, black piano finish. Personalized with your own message, company logos and photos in rich black marking. 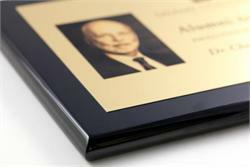 Quality materials for the perfect recognition plaque or office employee award. Gold or silver metal plate, mounted on solid, rich black wood. 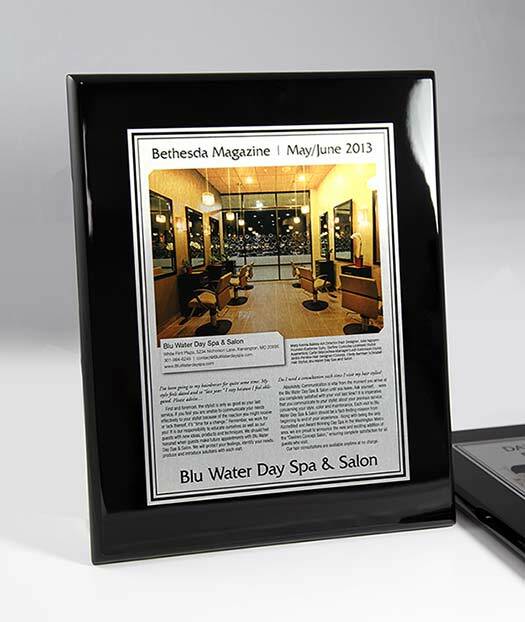 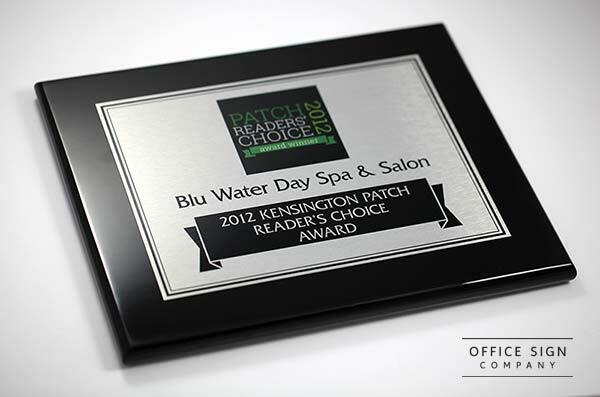 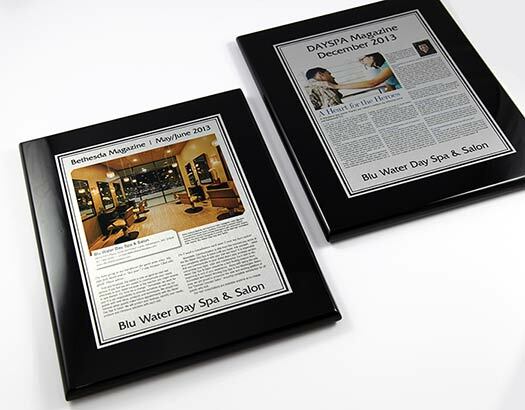 Main product photo displays the beauty and custom possibilities of our plaques and awards. Quantity discounts available on this page. Premium plaques made with the highest quality materials - solid wood and metal award plate - Quality awards for corporate or employee recognition, Universities, schools and more.